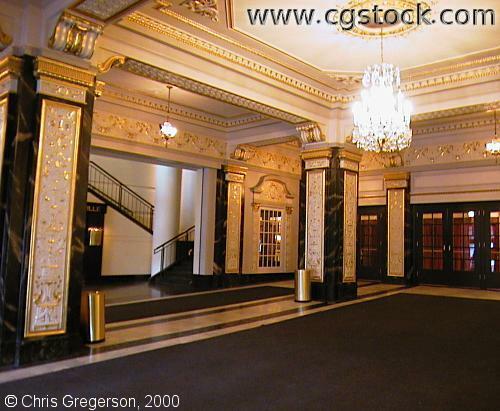 This is a second photo of the lobby of the restored State Theater. The box office is to the right, out of frame. The doors exiting to Hennepin Avenue are behind you.